The Local History Society is pleased to be asked to help with family history enquiries, and in 2013 we were asked about the Wood family. 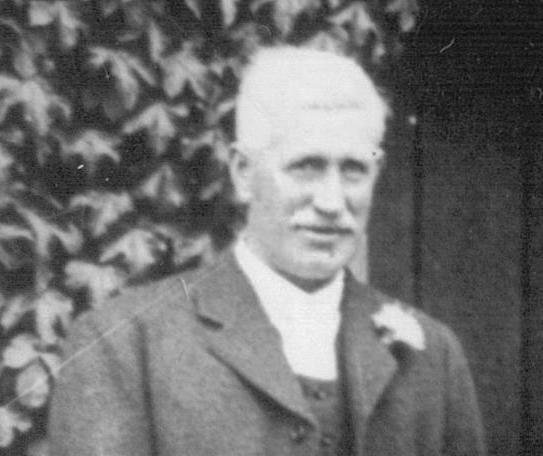 James (Jimmie) McMillan Wood (1880-1956) was a Farm Bailiff/Manager at Arborfield Hall Farm from approximately 1932 to 1951. The farm had been bought by Guthrie Allsebrook, whose main interest seems to have been water supply, and a water main was built from the farm through the village to a reservoir at Bearwood in 1933. James, a Scot originally from Paisley in Renfrewshire, was married to Annie, and they farmed initially with help from son Donald and daughter Annie, known locally as Nancy. (She was given this name in the 1940’s by the service personnel when she was the evening Barmaid at The Bull for the Bushnell family). Annie senior came from the delightfully-named Doune Carloway in the Isle of Lewis; born in 1877, she married James in Glasgow in 1900, and their daughter Nancy was born in 1919 at Manor Farm in Finchampstead - quite a change of scene. Frank Thorpe was their Herdsman. They had a housekeeper called Edith Bridgeland. Annie died at home (in the Farm Cottages accessed at the very bottom of Church Lane) on 16 February 1940. 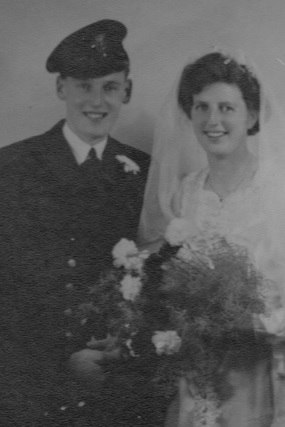 James then re-married in Wokingham in 1941 to Edith L Bridgeland. Edith was originally from Danehill in Sussex, born in 1888. Daughter Nancy married and moved to Reading in 1945; we found her first Banns of marriage on 27th May, a few weeks after VE Day: Anne MacDonald Wood of St. Bartholomew's Arborfield was to marry Albert Noel Bateman of St Bartholomew's Reading. The wedding took place at the church on Erleigh Road in Reading on 16th June 1945. Anne stayed in the locality, dying in Yateley in 1999. 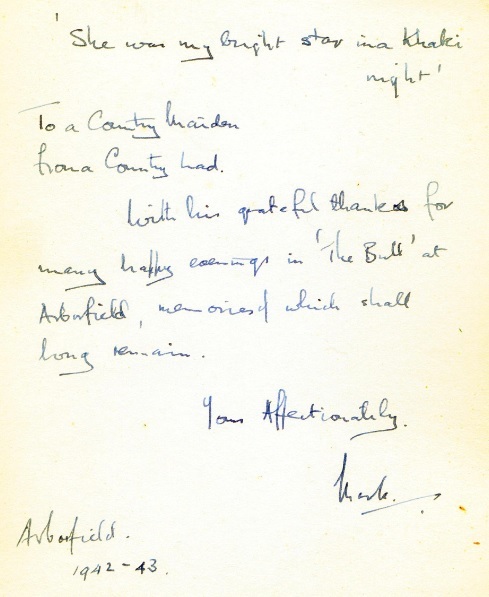 Edith’s death certificate shows that on Wednesday 12 February 1958 she passed away in Shinfield, two miles from Arborfield Hall Farm. The house where she died was at 6 Ilbury Close, Shinfield and at the time occupied by the informant(s) to the death, Kathleen & Raymond Beasley. Before her marriage Kathleen (nee Mullins) and her family had lived in adjoining Agricultural Cottages at Arborfield Hall Farm, working as a Tractor Driver for Geoff's grandfather. Both families become firm friends and when James died, it seems they invited Edith to live with them and their young children, one of whom, Heather Howarth (née Beasley), clearly recalled Edith and how she “occupied” the family front room at Ilbury Close. Berkshire Burial Index Records show Edith was cremated at the Henley Road Crematorium in Caversham Reading on the 18 February 1958. Nancy's son Geoff wanted to find out whether there was any other information on the family, or if there were photos of the farm or its cottages, or if there is any idea where the burial plot was. Unfortunately, we don't know where the burial was; possibly it was located where most of the graves were cleared in front of the church, but we do have some information on where the family lived. The 1939 Register of Electors listed 'McMillan Wood and Annie McDonald Wood' at 'Hall Farm', which isn't too specific. 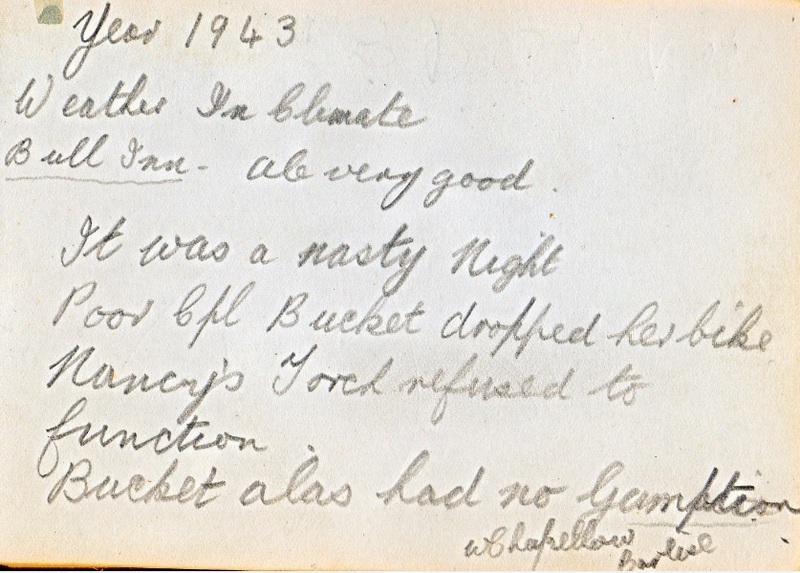 Nor is the 1946 Register, which also shows 'James M Wood and Edith R Wood' at 'Hall Farm'. However, the 1946 register mentions that 'David V Wood and Peggy Wood' lived at South Lodge, which was on the Reading Road by Arborfield Bridge. The same details are shown in the 1950 Register. Did Nancy know Ben Smith, who played the piano at The Bull for a time in WWII? He worked at the 'Starfish' Decoy site at Arborfield Hall Farm, and who married Elsie Fleming on 2nd February 1942 - see the article 'A Wartime Childhood in Brook Cottage'. If you have any memories of the Wood family, please let us know.